We're focused on one goal, caring for you and your RV. From routine service and maintenance to major repairs, we offer Winnebago, Itasca and Workhorse trained technicians and Genuine Winnebago Parts for your RV. Listed below is a menu of our regular service and maintenance items along with our pricing. We stand at the ready with professional care for all your service and maintenance needs. Schedule an appointment with us today! 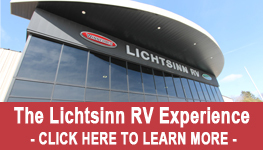 Click on the Below Complete RV Service Menu for a full listing of services offered.